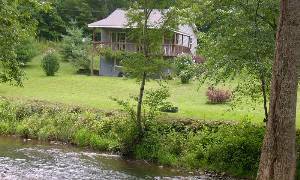 Beautiful cabin on 1.8 acres with over 500 ft of frontage on rushing creek. 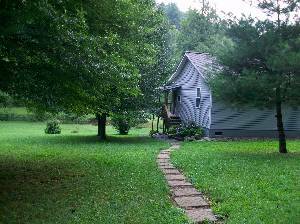 Our Cabin, a 2 bedroom/2 bath Chalet, built in the Spring of 2000 is nestled in the woods, yet is only 6 miles from town. The woods provide a cozy & serene atmosphere with lots of shade & wildlife. I loved my stay at this cottage. 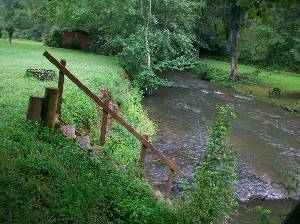 The sounds of the creek, birds and animals were so relaxing I hated to leave. It has all the essentials of home too, right down to the washer and drier. I hope to stay again before the year is out. What a wonderful time we had at the cabin. The view is amazing. Between listening to the creek and watching the hummingbirds vie for nectar on the porch, we almost didn't want to venture out. Coffee on the deck for breakfast watching a horse meander down to the creek for drink was unbelievably relaxing. This cabin was one the easiest accessible ones we've stayed at. 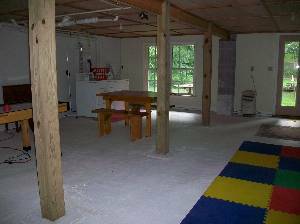 It had everything we could want from a full kitchen (including coffee maker) to Sat. TV and high speed internet. We did day trips to TN and around the Murphy area. Did ziplining and drove the Tail of the Dragon. Owners were extremely accommodating as I had short notice of this trip. I stayed in this cabin for eleven months and was able to enjoy all four seasons in this wonderful mountain hideaway. 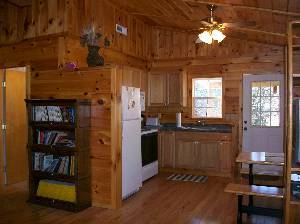 The cabin offers all of the amenities (cable TV, internet, phone, washer & dryer), plus a great location on the creek and close to town. It was completely furnished with everything I needed for my extended stay. 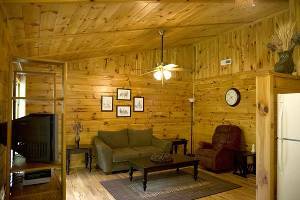 I particularly liked the knotty pine interior, giving you that real mountain cabin feel. Equally nice was relaxing and enjoying the view from the wrap-around porch. I give this cabin four stars for it's amenities, comfort, location, and affordability. A real gem. We have stayed at Hanging Dog Creek Cabin in the winter as well as in the spring. We loved it during each season. In the winter it was cozy and warm. We got lucky and had snow one night that stayed on the ground for two days. Being Michiganders, it may not seem like a big deal but in the mountains snow is special. In the spring, the Bradford Pears on the property were in full bloom and everything was so green. 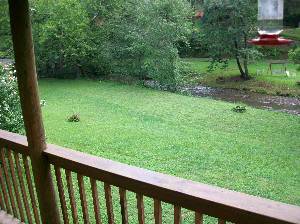 There's nothing like having your morning coffee on the deck, watching--and hearing--the water rushing by in the creek below. It was totally relaxing. The cabin is so cute and just what you would imagine a mountain cabin to be. We had everything we needed from satellite TV to a fully equipped kitchen. 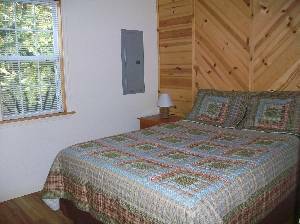 We would highly recommend this cabin to anyone wanting a relaxing vacation whether it be fishing in the creek, sitting on the deck with a good book or using the place as a comfortable home base for exploring the mountains. The surrounding area is beautiful. Thank you for making each stay a memorable one for us!